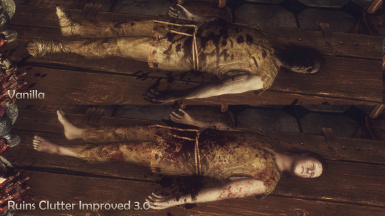 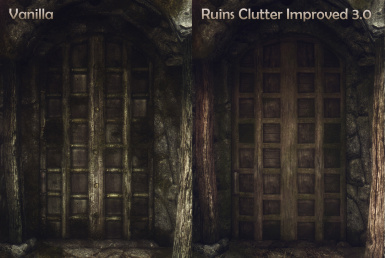 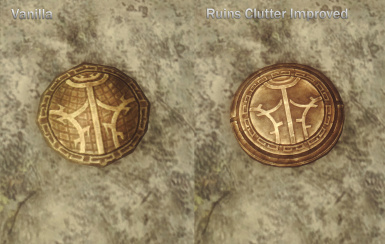 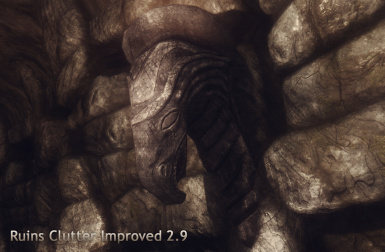 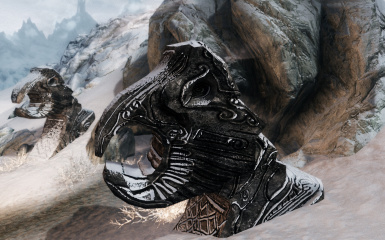 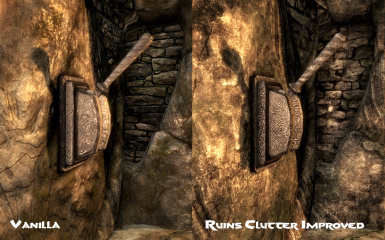 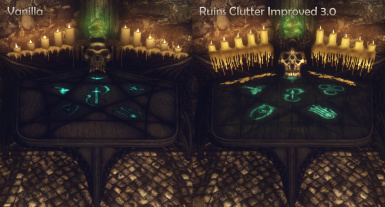 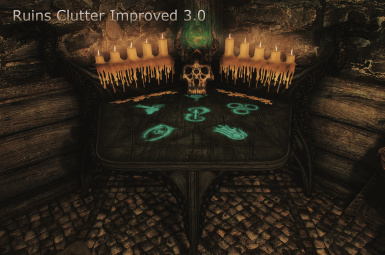 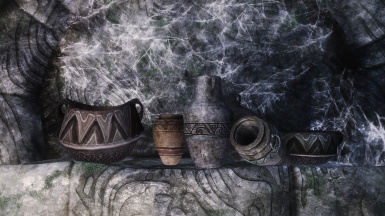 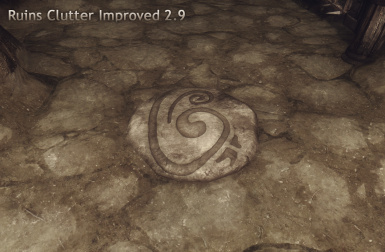 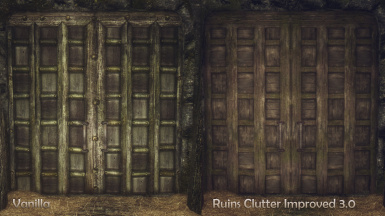 This mod does improve textures and meshes and also corrects UV errors of many clutter objects, which can mostly be found in the dungeons of Skyrim. 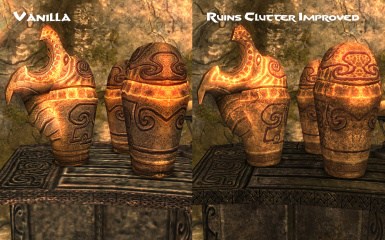 Added high resolution textures for the dwemer plate, dwemer pottery and dwemer blood extractor. 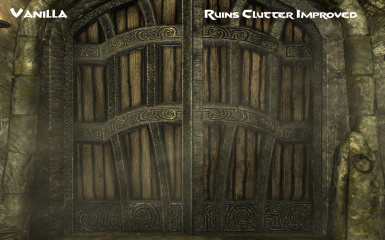 Original texture created by SWR0. 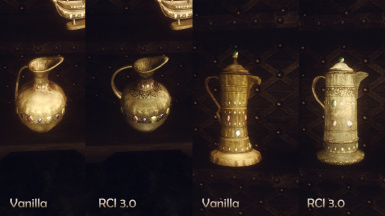 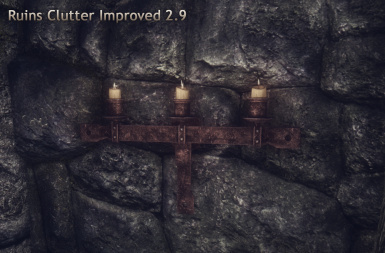 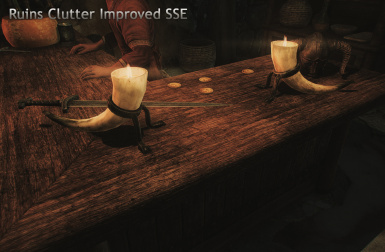 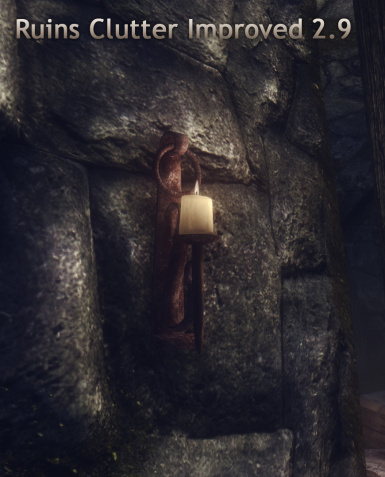 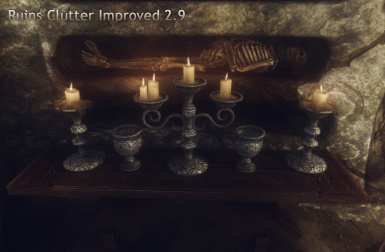 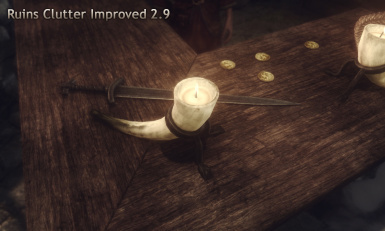 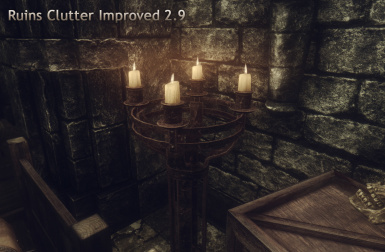 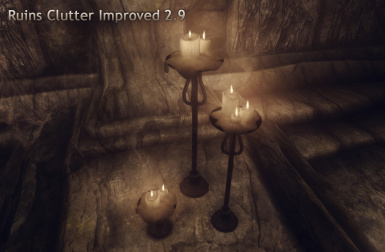 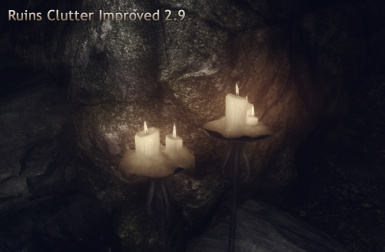 Completely overhauled all candles in Skyrim with improved textures, effects, meshes and better uv mapping! 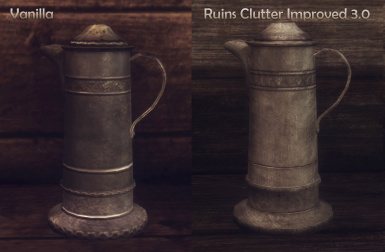 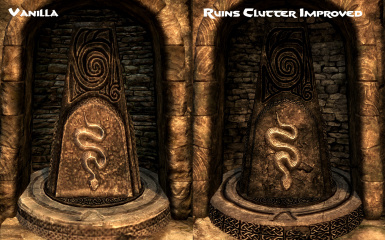 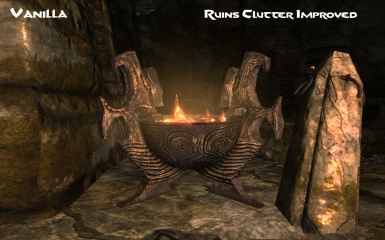 Ruins Clutter Improved started as a retexturing project, with the main goal to improve some of the ugliest objects in the dungeons of Skyrim. 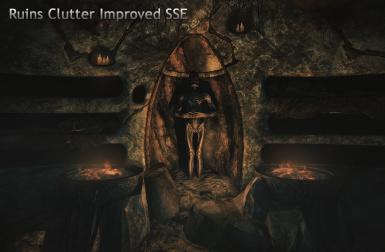 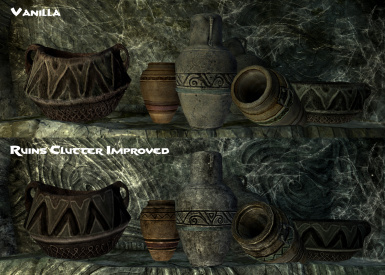 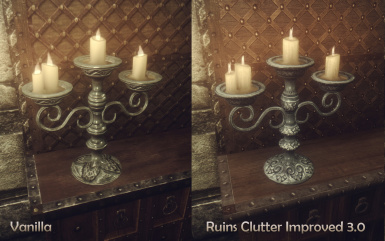 It improves the visual experience of catacombs and ruins by adding more detail to common clutter objects like pots, sconces, candles, doors and many other ingame materials. 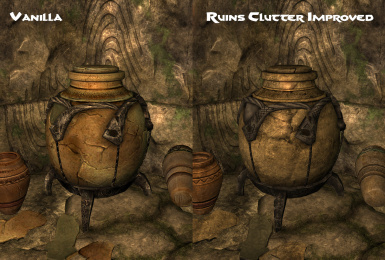 Added high resolution textures for the dwemer plate, dwemer pottery and dwemer blood extractor. 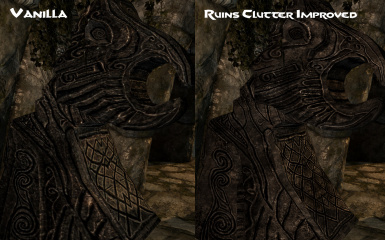 Original texture created by SRW0. 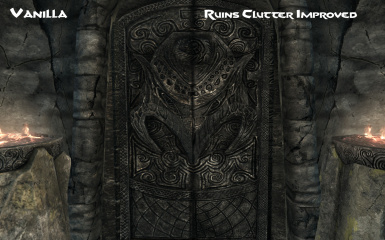 If you downloaded the manual version, you need to unzip and extract the archive into your Skyrim/Data directory. 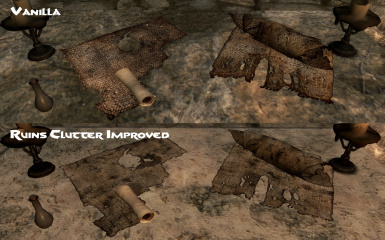 If you manually install this mod over SMIM you will be prompted to overwrite some files. 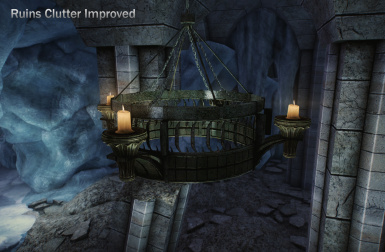 If you are using ELFX, you will have to overwrite some meshes (catacomb small ways and candlehorn chandeliers). 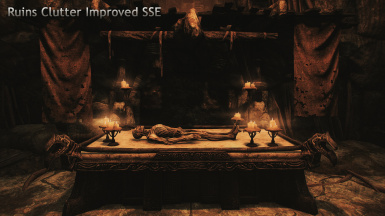 You can do this safely. 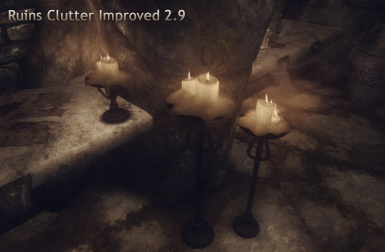 I tested my meshes in game with ELFX activated and there was no light flickering or other issues. 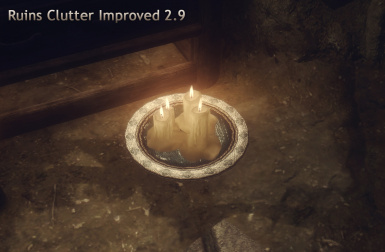 Since many things have changed compared to version 2.9. 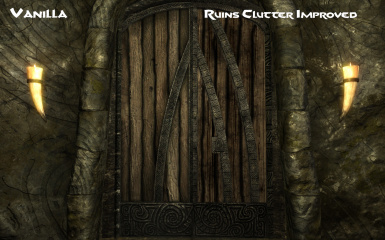 I would strongly recommend to do a clean install with the latest version to prevent problems. 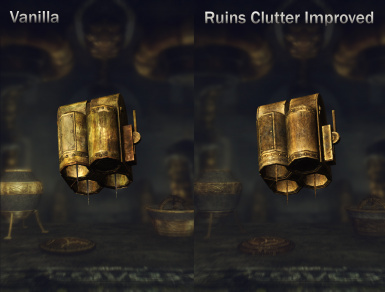 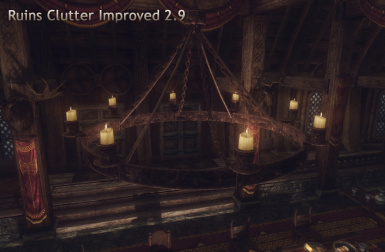 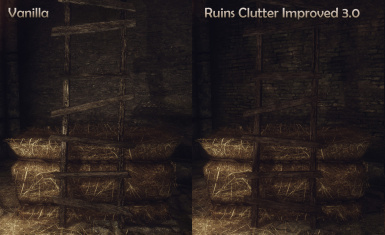 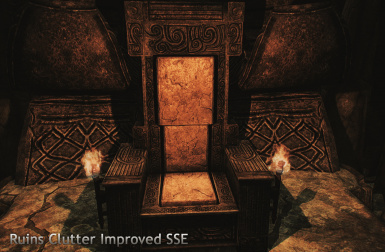 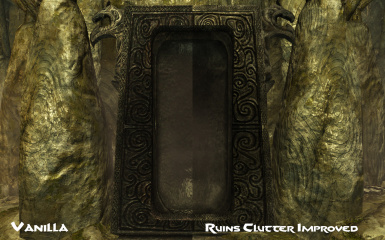 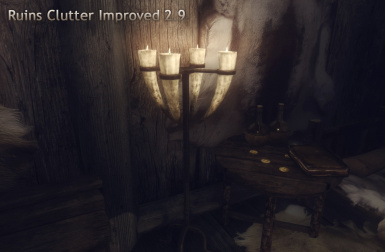 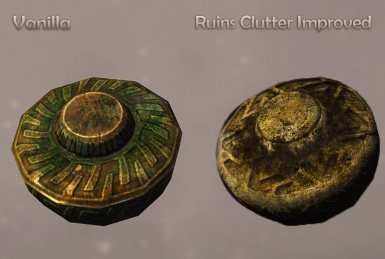 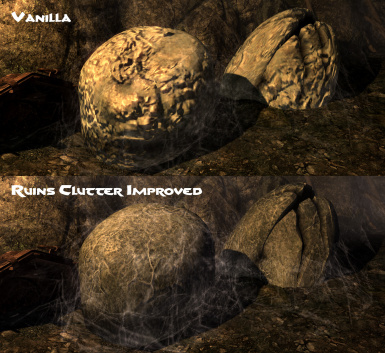 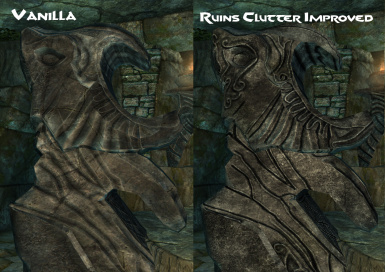 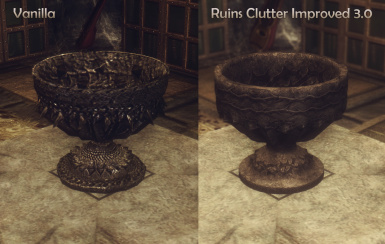 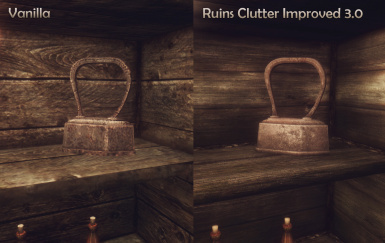 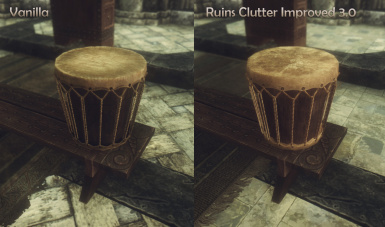 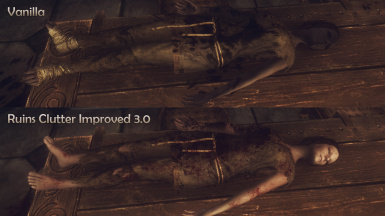 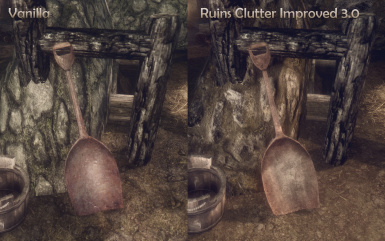 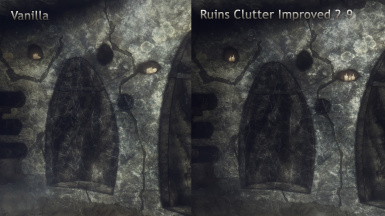 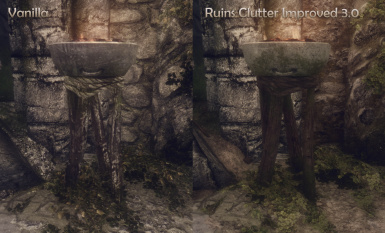 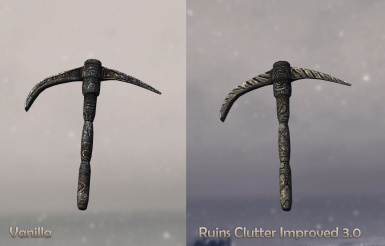 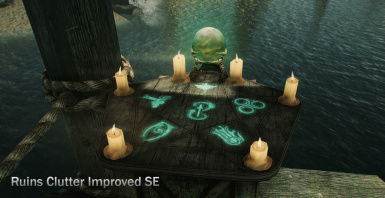 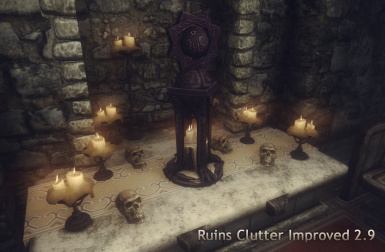 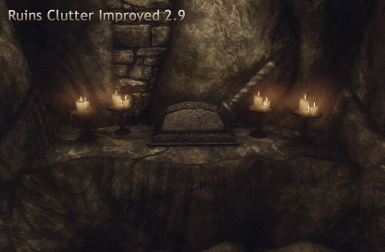 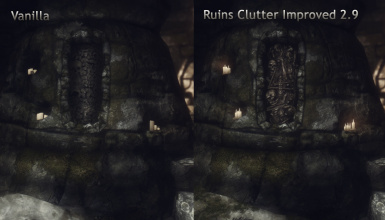 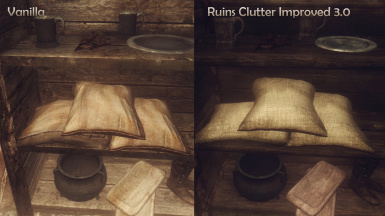 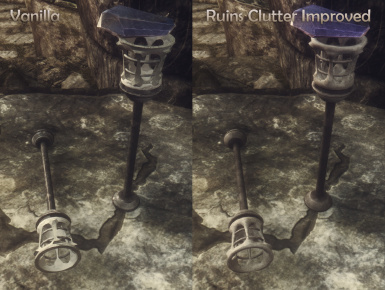 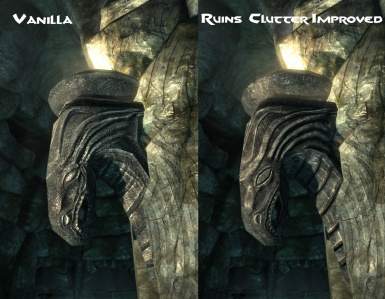 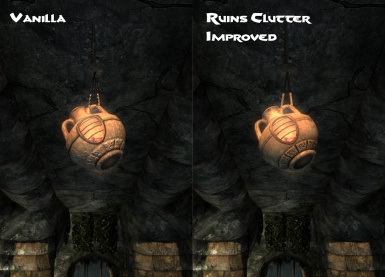 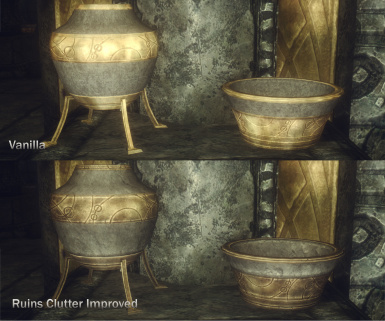 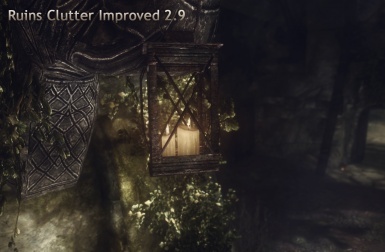 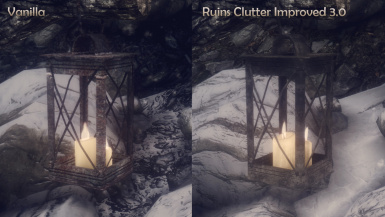 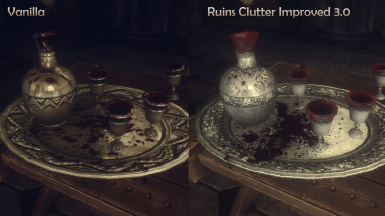 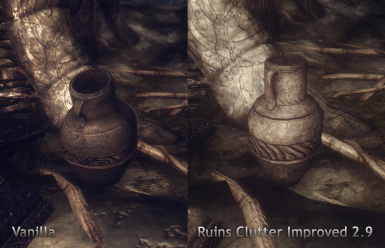 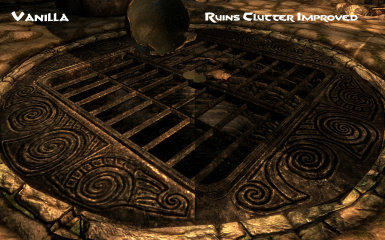 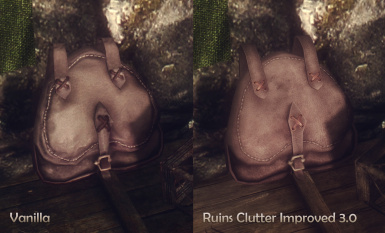 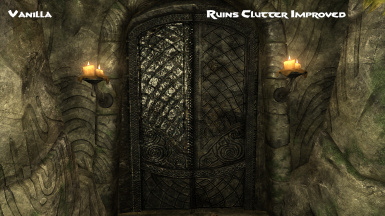 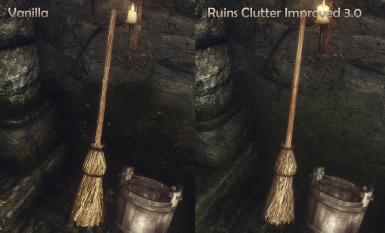 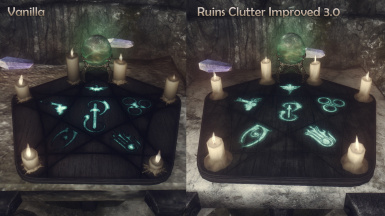 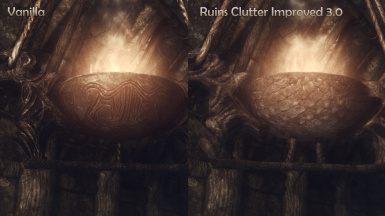 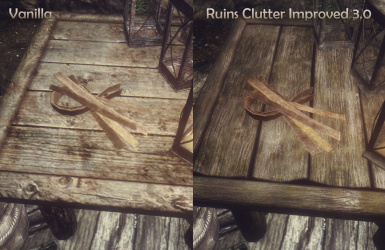 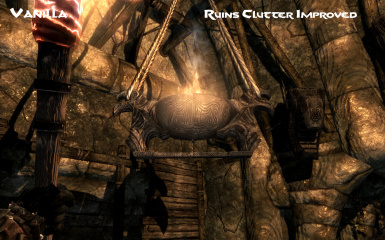 Static Mesh Improvement Mod is a must have for every Skyrim player and works perfectly with Ruins Clutter Improved. 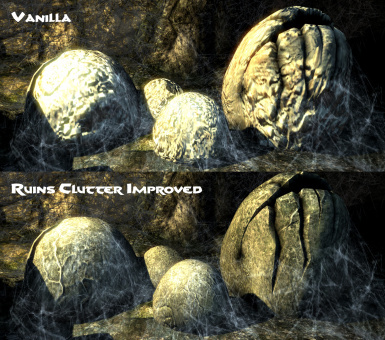 Thanks to Brumbek for his awesome SMIM and the permission to use his meshes for my latest update. 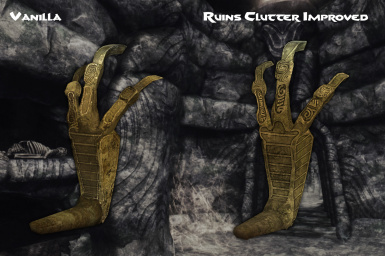 Thanks to SRW0 for his great dwemer textures. 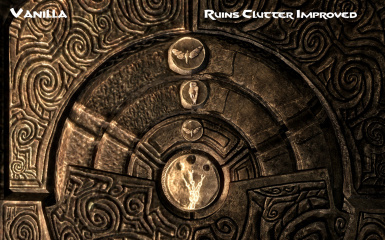 Check out his flickr page here. 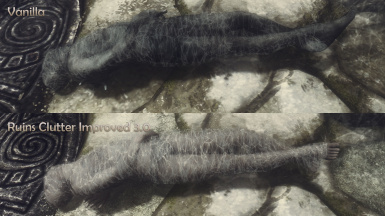 Thanks to fadingsignal to let me use his male body textures SkySight Skins. 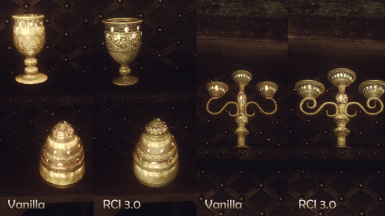 Thanks to Gamwich and Nazenn for providing the Bloodchalice base mesh and texture. 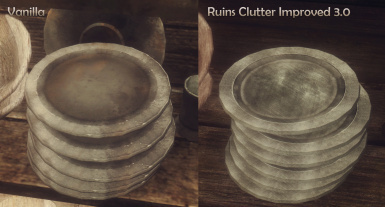 Thanks to skyrimaguas for the incredible silverware retexture Superior Silverware. 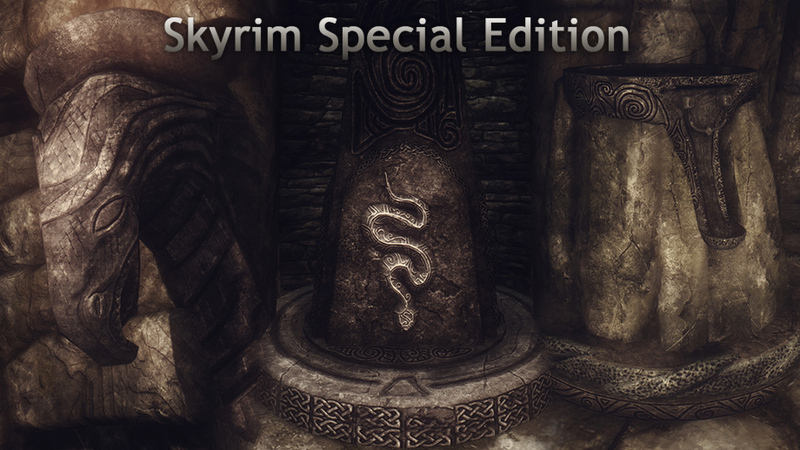 Also a big thanks to all supporters, Bethesda and the Skyrim Nexus community.